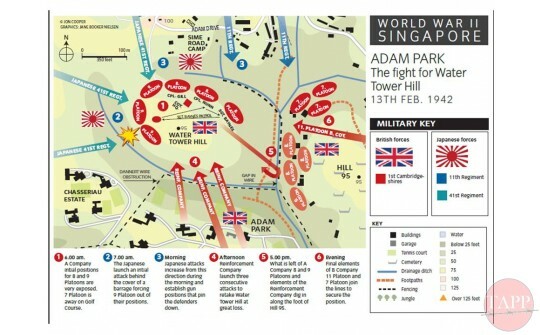 Military illustrator Jane Nielsen has been working on pulling together battle maps for the Adam Park action. 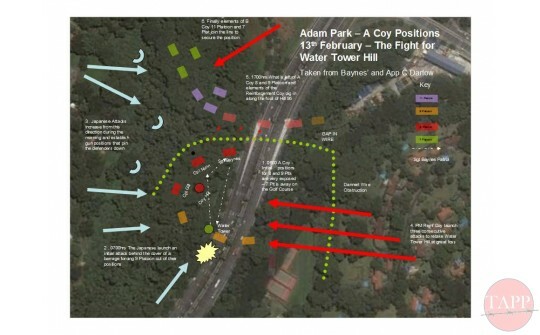 This collection of 6 maps show the battle for Adam Park and Bukit Brown split up across the three days. Each image provides an illustration of the action as well as a timeline of events. Drawing up a timeline of battle field events is never a simple affair. 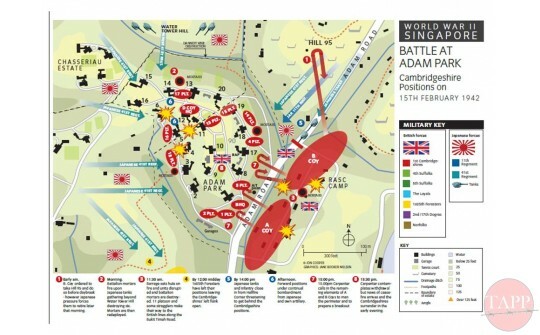 Opinions on when events actually occur depends very much on what part of the battlefield the witness was on. 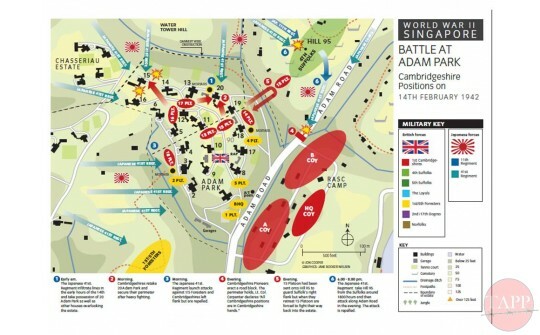 The notable attacks, counter attacks and retreats are often interspersed with fighting patrols, infiltration and artillery barrage which blur the actual start and finish times. Estimated times are often found to be misleading. Things are complicated by Japanese accounts referring to Tokyo time. 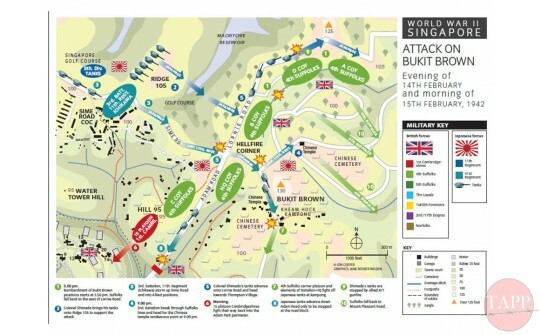 Time of surrender on the 15th for example varies from account to account depending on how long it took to get the message up to the front line and at what point allied troops stopped firing and Japanese troops were confident enough to accept their surrender. Terrain is fortunately more easily understood. Despite considerable development of the area the main geographic features can still be seen in the modern landscape. 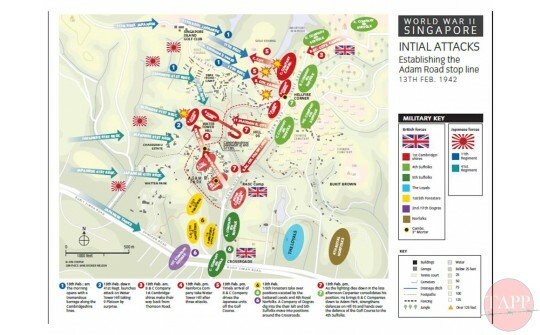 Adam Park is of course miraculously untouched, Hill 95 and Water Tower Hill have been demolished to make way for a motorway and Bukit Brown has recently been leveled to allow a new bypass to be built. 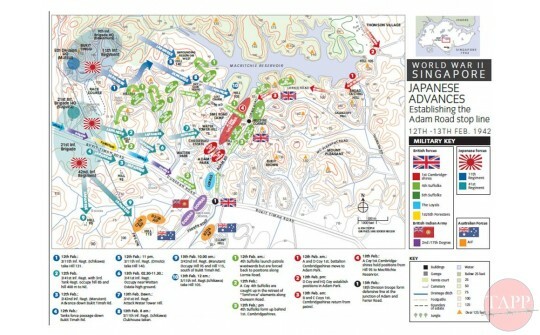 However Sime Road and the SICC Golf Course remain virtually untouched. 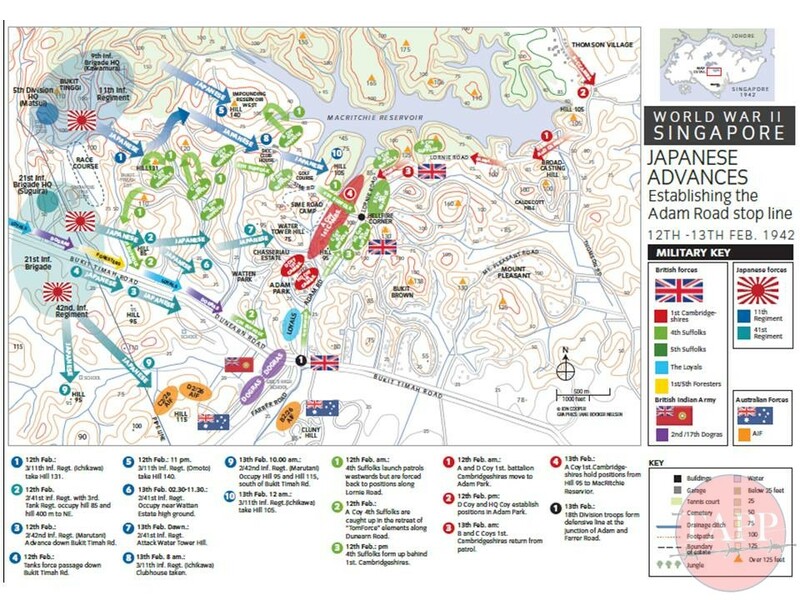 MacRitchie Reservoir remains intact to the north. Jane made good use of the 1938 OS maps of the area and post war aerial photos to recreate the terrain. 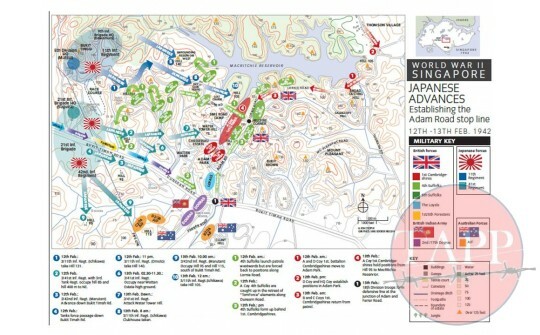 The maps are under constant revue so your comments would be welcomed.